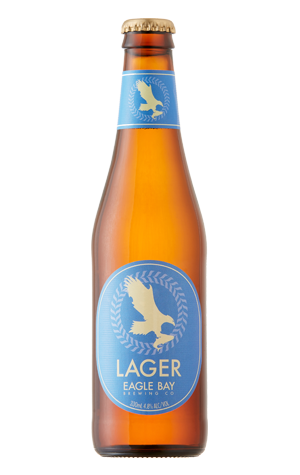 Vienna Lager has been a core range beer since this Eagle first landed but, eight years on, it was time for a refresh. While plenty liked the original beer, a public poll was taken in the lead up to Christmas 2017, with four variations on the lager theme showcased on taps across WA to test the brewing water. Venues, special events and the the brewery venue itself poured samples one to four for the willing, with the quartet made up of a Munich helles style lager, a pilsner, a rye based New World lager and, wait for it, the existing Eagle Bay Vienna Lager, albeit with a slight hop twist. When the 1200 votes were tallied, only 60 points separated the the pilsner and rye lager, with the latter taking the crown. To the victor goes the liquid spoils with that beer now suited up in a bottle complete with textured label and bolder font. The new Lager showcases Tettnang, Saaz and Southern Cross hops that combine to create a light melon and lemony citrus aroma. Light, sweet malt underpins more light citrus and spice flavours with the hops contributing a compact, understated bitterness. Persistent tight carbonation helps dry the clean and crisp finish. After lengthy consideration and a public vote, the restaurant’s menu sums up the new beer thus: “Crack the top off a good time and get a Lager in your life”. Wise words. UPDATE: It seems the process worked as the beer took out the champion trophy for lagers in the 2018 Perth Royal Beer Awards.